The experiments may make it possible one day to transplant livers, hearts and other organs from pigs into humans, a hope that experts had all but given up. The experiments, reported Thursday in the journal Science, may make it possible one day to transplant livers, hearts and other organs from pigs into humans, a hope that experts had all but given up. There were 33,600 organ transplants last year, and 116,800 patients on waiting lists, according to Klassen, who was not involved in the new study. “There’s a big gap between organ supply and organ demand,” he said. The new research combines two great achievements in recent years — gene editing and cloning — and is unfolding quickly. But the work is novel and its course unpredictable, Klassen noted. It may be years before enough is known about the safety of pig organ transplants to allow them to be used widely. Scientists began pursuing the idea of pig organs for transplant in the 1990s. But in 1998, Fishman and his colleagues discovered that hidden in pig DNA were genes for viruses that resembled those causing leukemia in monkeys. Fears that pig organs would infect humans with bizarre retroviruses brought the research to a halt. But it was never clear how great this threat really was, and as years have gone by, many experts, including Fishman, have become less concerned. There is no evidence that any of these patients were infected with porcine retroviruses. In any event, said Dr. A. Joseph Tector, a transplant surgeon at the University of Alabama at Birmingham, pig retroviruses are very sensitive to the drugs used to treat HIV. Church and his colleagues thought the retrovirus question could be resolved with Crispr, the new gene-editing technology. They took cells from pigs and snipped the viral DNA from their genomes. Then the scientists cloned the edited cells. 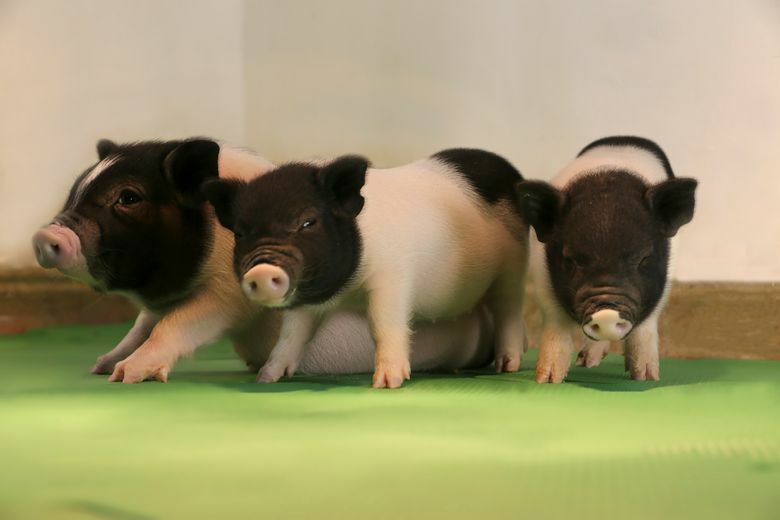 Cloning often fails; most of the embryos and fetuses died before birth, and some piglets died soon after they were born. But Church and his colleagues ended up with 15 living piglets, the oldest now 4 months old. None have the retroviruses. Church founded a company, eGenesis, in hopes of selling the genetically altered pig organs. Eventually, Church says, the company wants to engineer pigs with organs so compatible with humans that patients will not need to take anti-rejection drugs. Part of the organ-rejection problem is already being solved with gene editing and cloning. It is an issue that emerged in the early 1980s when surgeons put a pig heart into a baboon. To their shock, the baboon died in minutes. Dr. David Cooper, at the University of Alabama at Birmingham, and his colleagues, including Tector, have used gene editing and cloning to make pigs without the carbohydrates on the surfaces of their organs. They successfully transplanted hearts and kidneys from those pigs into monkeys and baboons. So far, the animals have lived more than a year with no problems, Tector said.